Season Three’s all-new Codex! – Zombies, Run! 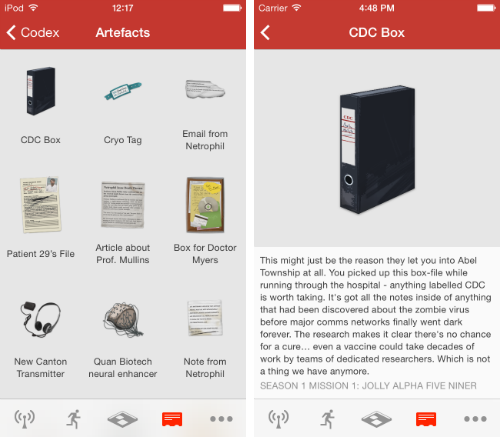 Players who’ve been with us since Season One may remember the Codex, an in-app catalogue of all the items and artefacts you encounter as you play the game. We’re pleased to announce that in Season Three, we’re bringing the Codex back! 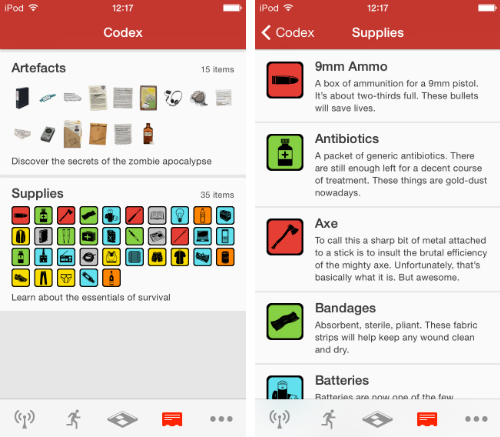 We’ve refreshed the look of the Codex and expanded it to include more detailed information about each item within the app itself. We’ve also completely redrawn the artwork for all of the Season One artefacts – and most importantly, we’ll be including plenty of new and important story artefacts for you to discover in Season Three. This is just the tip of the iceberg when it comes to improvements to the Zombies, Run! 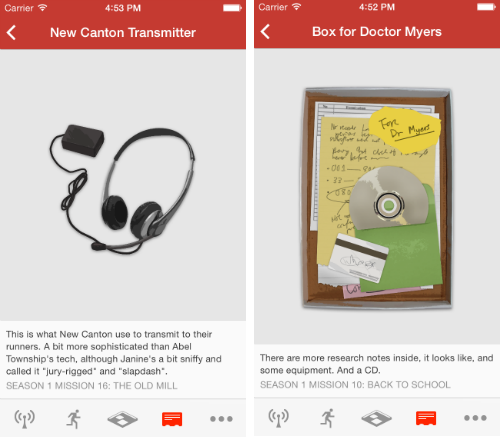 app for Season Three. We’ll have more information and new screenshots about further enhancements for you shortly! Next Post Stats! Stats everywhere!